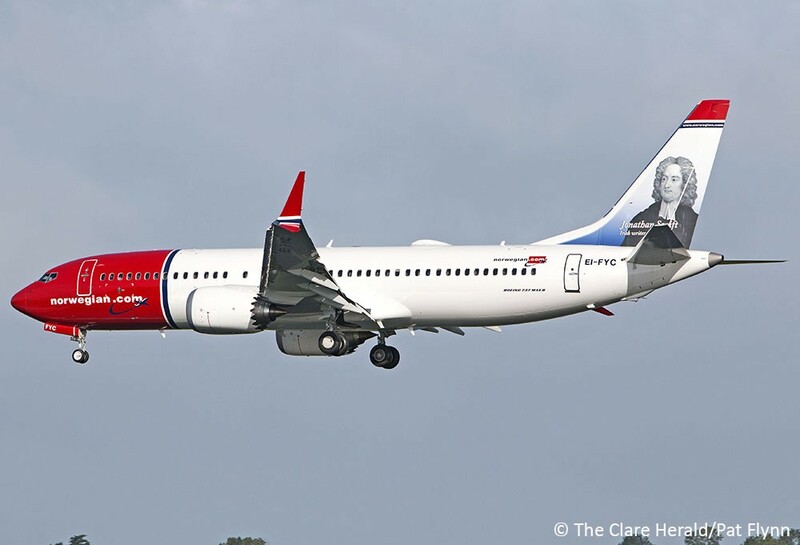 Norwegian Air International has confirmed plans to to increase its capacity on its Stewart Airport/New York service next summer. After a strong performance in 2017, its inaugural year, extra flights this summer and a strengthening of services again for the coming winter, the airline has now announced it is to increase its Shannon-Stewart operations from three to five weekly services next summer. The move reaffirms Shannon’s growth potential on transatlantic services, the latest announcement resulting in an additional 23,000 seats on the Stewart service next summer, an increase of 28%. Welcoming the news, Shannon Airport Managing Director Andrew Murphy said: “Getting Norwegian Air International on board in the first instance was a strong statement about Shannon’s potential and this has most definitely been backed up by this latest increase. We will have nine services in all next summer, five to Stewart and four to Providence, Rhode Island, more than double what we had last year when Norwegian Air International commenced its Shannon operations with four services in total. Matthew Thomas CEO, Shannon Group added: “This significant additional capacity from Norwegian Air International is going to be a big plus for us in 2019 and will follow the huge success we have had this year already, with six airlines operating to seven transatlantic destinations this summer, giving Shannon its busiest summer season in 17 years. It’s not just summer season success as we have year-round services to the east coast of the US. This is proving to be a very positive year for Shannon. All customers on Norwegian’s transatlantic flights to the USA from Dublin and Shannon benefit from the U.S Preclearance facilities at each airport. Norwegian customers landing in the US would be treated as domestic passengers, allowing for a quicker transition through the airport upon arrival. The airline has also confirmed that it will continue its seasonal service from Cork to Providence-Boston with three flights per week.